Welcome to Koronka Manufacturing Ltd. The company was founded in the 1950s in Ceres, Fife, by Stanislaw Koronka. 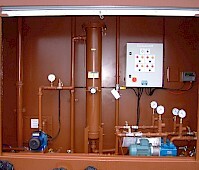 It combined agricultural engineering and the manufacture of fuel storage tanks, moving to larger, custom built premises in Kinross in the mid 1970s. 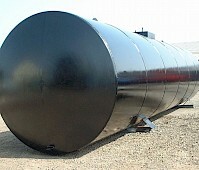 It has evolved in both design and products alongside developments in the fuel storage industry. 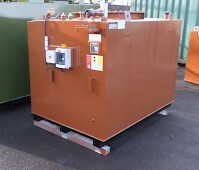 We supply customers from all industries, including vehicle refuelling, standby generation and aviation with good quality and competitively priced bunded oil storage tanks. Our products are suitable for above and below ground (rectangular or cylindrical) and all Koronka tanks are manufactured to the Environmental Agency, SEPA and PPG2 guide lines. 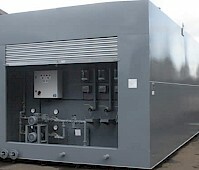 The company is ISO9001 accredited and an Oftec member with T200 certification. Our reputation is built on excellent service from first draught to delivery and alongside our standard range, we offer a bespoke service tailored to our customers' needs. We are ISO 1090 approved and CE mark all our structural steel.